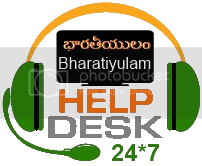 పేరు పలుకుబడి కన్నా ముక్యం ఎదుటి మనిషికి సహాయం చేసే గుణం . Every child is taught about 'the left hand shouldn't know what the right hand is doing.' Sticking to the saying are a bunch of groups from the city who don't have the time to either pose with the charity work they are doing with photos to post on FB or twitter, or to think about getting media mileage. They are just focussed on sending vehicles loaded with rice, water, biscuit packets, blankets and clothes they have collected to the designated areas in Visakhapatnam, as early as possible. 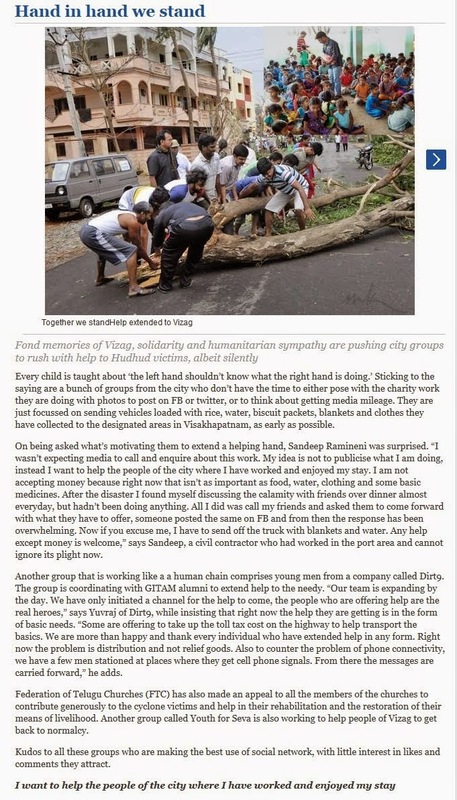 On being asked what's motivating them to extend a helping hand, Sandeep Ramineni was surprised. "I wasn't expecting media to call and enquire about this work. My idea is not to publicise what I am doing, instead I want to help the people of the city where I have worked and enjoyed my stay. I am not accepting money because right now that isn't as important as food, water, clothing and some basic medicines. 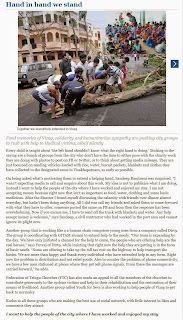 After the disaster I found myself discussing the calamity with friends over dinner almost everyday, but hadn't been doing anything. All I did was call my friends and asked them to come forward with what they have to offer, someone posted the same on FB and from then the response has been overwhelming. Now if you excuse me, I have to send off the truck with blankets and water. Any help except money is welcome," says Sandeep, a civil contractor who had worked in the port area and cannot ignore its plight now.